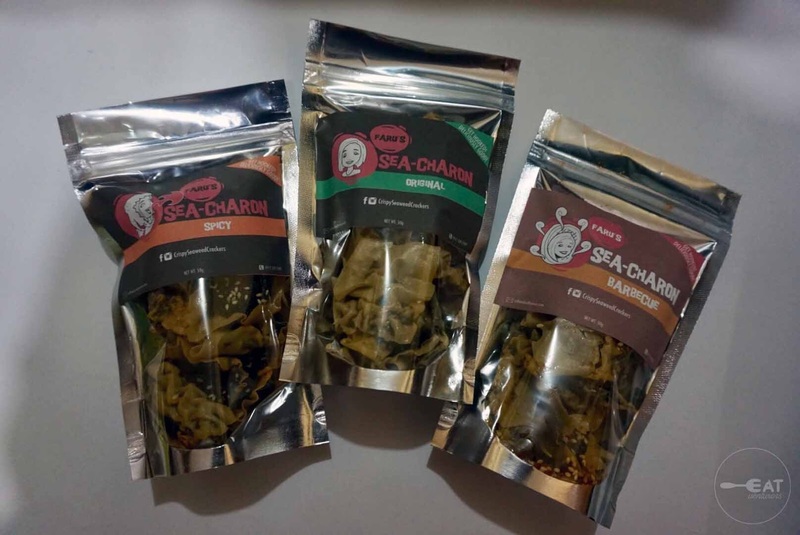 Unlike chicharon, these crispy seaweed crackers, are being offered in several flavors. 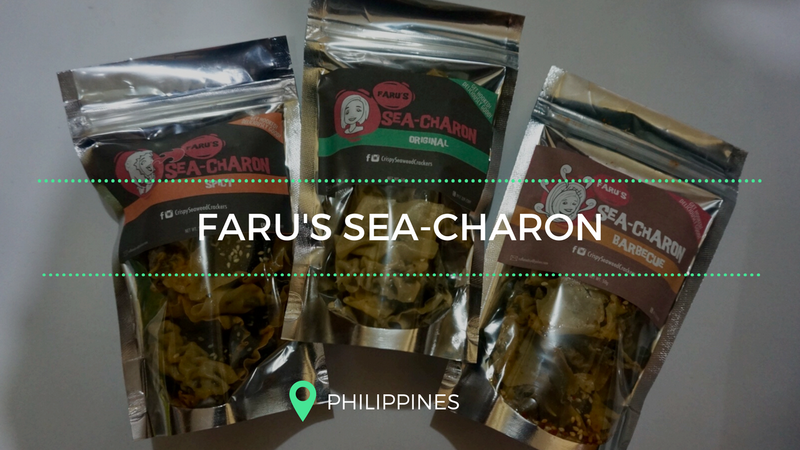 Faru’s Sea-Charon offers these crackers in six flavors: Original, Spicy, 2X Spicy, BBQ, Sour Cream & Onion, Spicy Crunchy Garlic. The Eatventurers were able to try the original, BBQ and Spicy. True to its tagline “Get hooked! Deliciously Good,” we were hooked when we tried it. The crackers do not look appealing as they taste but they are really good. You don’t even need a dip for the crackers as they already taste good without one. The original one is for those who like it plain. It’s not bland but we prefer the flavored ones. Our personal favorites are the BBQ and Spicy flavors. The BBQ sends aroma similar to the BBQ flavor in cinema hallways with popcorn stalls while the spicy has tolerable kick. 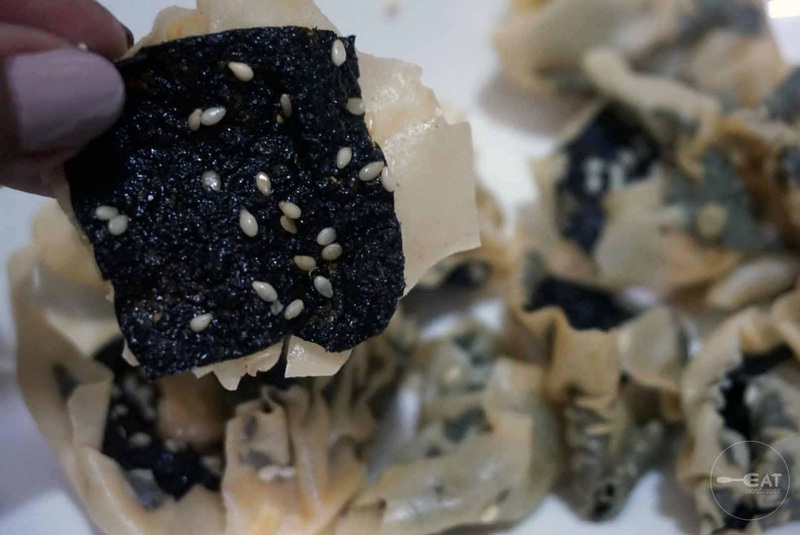 The sea-charon is also crispy as it claims but its crispiness has expiration that can lasts up to three weeks. 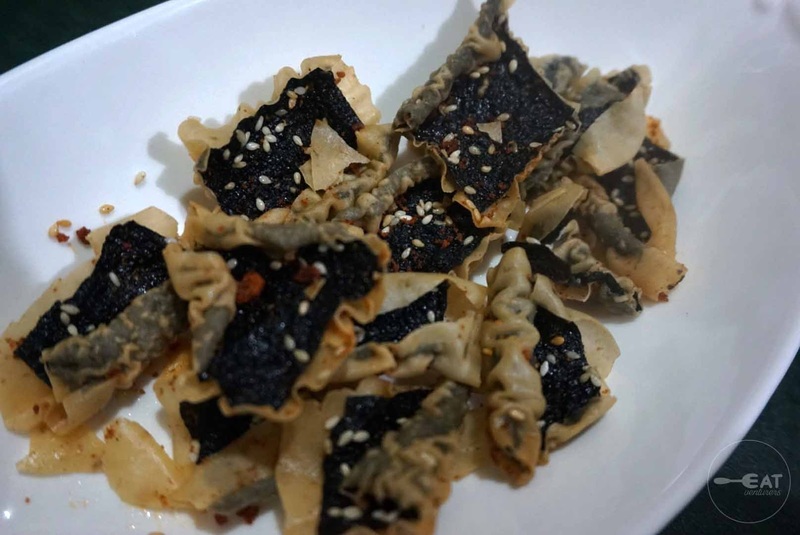 It feels like munching on crispy wanton wrappers with seaweed in it. 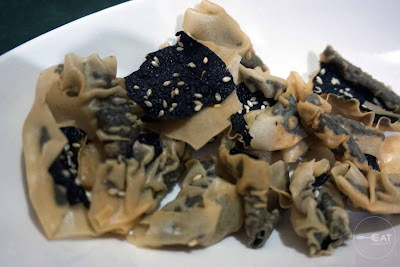 They are also topped with sesame seeds that give additional flavors. 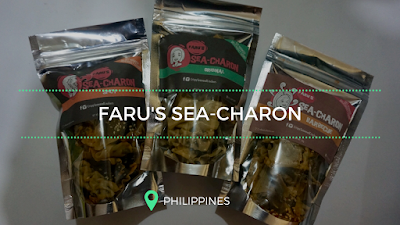 Currently, Faru’s sea-charon is being sold in two sizes: regular (50 grams) worth P85 and large (120 g) which costs P190. 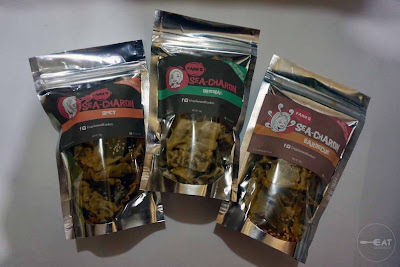 We recommend for you to try the large size because small size is really "bitin" as these are highly addicting. We hoping they'd sell it in tub as well. M This is perfect for your Netflix and chill moments or as an alternative pasalubong for loved ones abroad as the products are sealed well. After being inspired by the film, she researched on how to cook crackers and had her friends taste it then sold it. Her friends and family loved the concept so she started running it as an online business in May 2017. Right now, Faru operates online and in two partner stores Tea First and Tok-yu Sushi Bar located in Parañaque City, Pasig City and Quezon City respectively. She is open to accommodate interested resellers. Faru also delivers nationwide and overseas via Xend and GrabExpress. 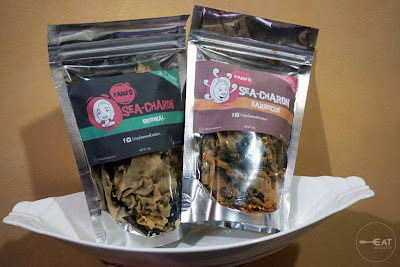 She also allows meet-up in Ortigas area and in SM Mega Mall but with minimum order worth P500 or 6 pieces of regular size). The food at this venue was excellent, as was the service, many of our friends and family still rave about it. My wife and I highly recommend this event space. We came here again for dinner and everything was again good and the service was extremely fast.